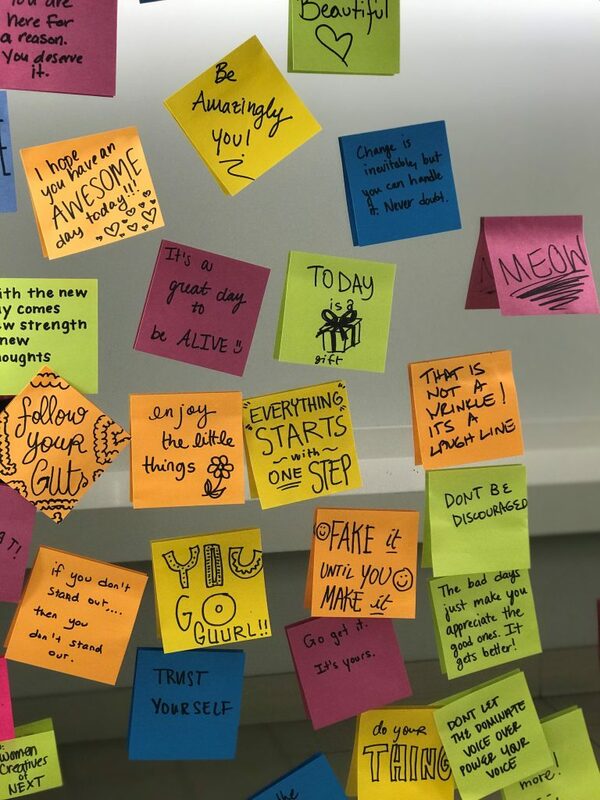 Inspirational sticky notes found at Microsoft Studio C were started by Jamie Cabaccang, a senior design lead, to help women on her team feel a sense of community. They began to spread across Microsoft’s Redmond campus quickly this week. Kennedy’s determination and grit makes her a good candidate to succeed in math. Her voice was among more than 6,000 U.S. girls and women from ages 10 to 30 who were interviewed for a newly released study about STEM (science, technology, engineering and math) education. The study, done by Microsoft in partnership with KRC Research, finds that despite the high priority that is placed on STEM in schools, efforts to expand female interest and employment in STEM and computer science are not working as well as intended. This is especially true in technology and engineering. While the U.S. Bureau of Labor Statistics predicts that technology professionals will experience the highest growth in job numbers between now and 2030, only a fraction of girls and women are likely to pursue degrees that enable them to fulfill these news jobs. Providing teachers with more engaging and relatable STEM curriculum, such as 3D and hands-on projects, the kinds of activities that have proven to help retain girls’ interest in STEM over the long haul. (“My teacher’s making me build a rocket ship with some other students, so that got me interested in STEM a little bit because I like to build and create,” says one middle-school girl interviewed for the study). 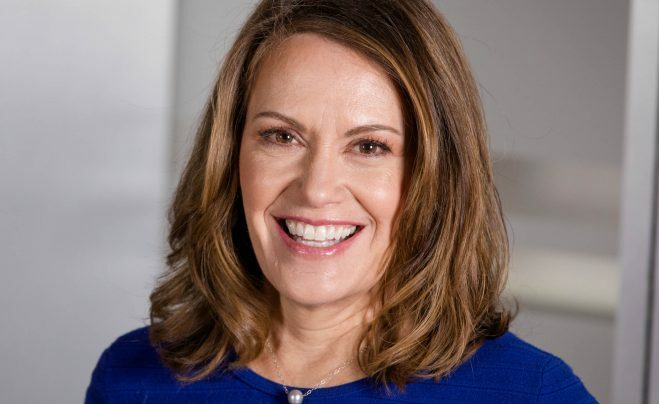 Peggy Johnson, an engineer who is now Microsoft’s executive vice president of business development, didn’t know what being an engineer looked like – until she got to college. She began college as a business major. She was a freshman, doing a job delivering campus mail, when she took some packages to the engineering department – and everything changed. That evening, Johnson thought about what the women had said. The very next day she changed her major to engineering. Her mother encouraged her to “stick with it,” during the “challenging ups and downs of pursuing my engineering degree,” Johnson says. The “downs” included a professor who tried to discourage her from continuing on in her major. He “almost convinced me,” she says. But her mother told her differently, yet again. “I know you’ll stick with it” – and Johnson did. Sticking with it is something girls need to be encouraged to learn, says Reshma Saujani, founder and CEO of Girls Who Code, whose mission is to close the gender gap in technology. It is among the many STEM nonprofits supported by Microsoft Philanthropies. “We have to rethink the way we raise our girls,” Saujani says. “Boys are pushed to take risks; girls are not. In fact, they feel like they have to be perfect at everything they do; they see getting a ‘B’ in math class as bad. She also emphasizes how important it is to have a dad that “doesn’t coddle you, that encourages you to try new things. You have to inspire girls to try things that they may not be good at,” she says. John Sheehan’s daughter has always been good at math, but even so, he saw her being discouraged in classes, albeit it indirectly. “I used to go to her schools, for the parent-for-the-day activities, and I remember math teachers praising the boys” regularly, but the girls – not so much. That wasn’t acceptable to Sheehan, a Microsoft distinguished engineer. While his daughter didn’t say she felt disheartened, at times he sensed she was. 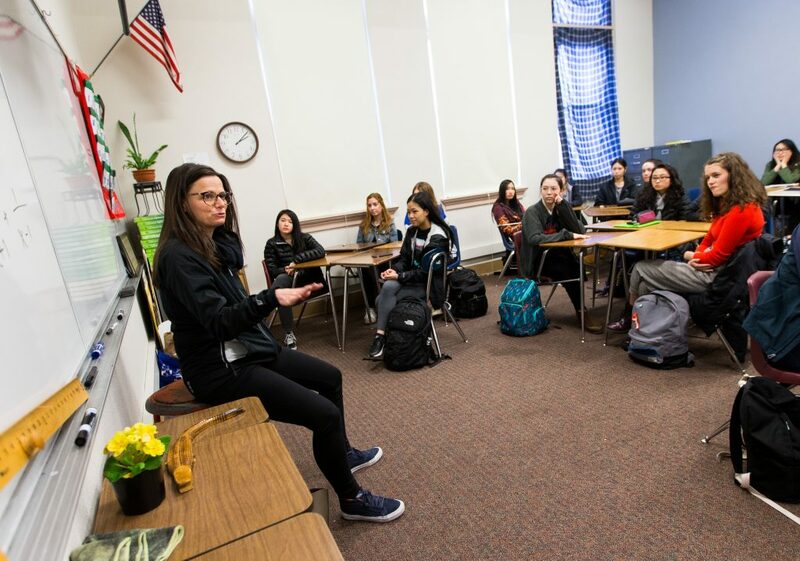 Sheehan is among the Microsoft employees who volunteer to educate girls about computer science and STEM. He also started a fund for girls and STEM at his alma mater in Boston. Townes-Whitley did not let it stop her. 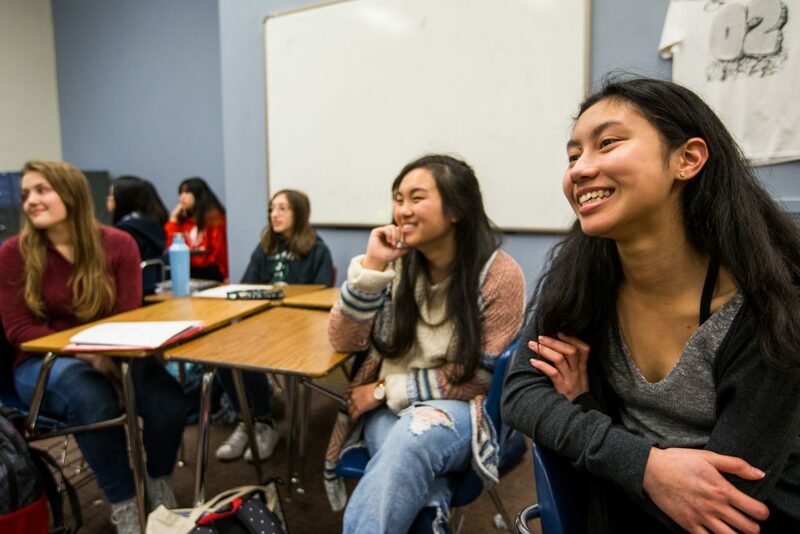 “Once I recognized the bias, I made it a point to connect with the other female students, study together and outperform collectively in the class,” she says. That spirit of determination continues in her current role. “It’s critical to mentor girls from classroom to the boardroom, across the full career continuum in STEM,” she says. “The research has indicated that there are ‘off ramps’ at different educational levels where girls leave STEM programs throughout middle school, high school and undergraduate” in college. Snapp adds that Microsoft commissioned the research to better understand what causes girls and young women to disengage from STEM studies, what can be done to fix the problem and to share those learnings with others. When Chiang wasn’t feeling challenged enough in her regular high school curriculum – and was “considered an oddball/nerd/geek by the rest of the class because I excelled in math and science” – her parents stepped in yet again. “They supported my passion and interests by finding me a math and science high school program so I could learn and be challenged in an environment with other kids like me,” she says, noting: “It’s incredibly hard to be an outlier, especially during the teenage years. Peggy Johnson can vouch for that. After she graduated college, she went on a job interview with a company that was based in another country. She picked up her resume and walked out, not letting that setback defeat her. Soon, that company’s loss would be Qualcomm’s, and later, Microsoft’s gain. And in 2017, Johnson was ranked No. 1 as the most powerful female engineer in the U.S. by Business Insider.